One of the key creative aspects of an advertisement is choosing the image that will appear alongside the advertisement text. The advertisers aim is to select an image that will draw the attention of the users and will get them to click on it, while remaining relevant to the advertisement text (naturally, an image of a cute puppy next to an advertisement about insurance doesn’t make much sense) . Below are some examples of advertisements appearing in Taboola’s “Promoted Links” box. Notice that each advertisement contains both a title and an appealing image. Examples of advertisements placed in Taboola’s “Promoted Links” box. Notice that each advertisement contains both a title and an appealing image. Given an advertisement title (for example “15 healthy dishes you must try”), the advertiser has endless possibilities of choosing the image thumbnail to accompany it, clearly some more clickable than others. One can apply best practices in choosing the thumbnail, but manually searching for the best image (out of possibly thousands that fit a given title) is time consuming and impractical. Moreover, there is no clear way of quantifying how much a given image is related to a title and more importantly – how clickable the image is, compared to other options. To Alleviate this problem, we developed a text to image search algorithm that given a proposed title, scans an image gallery to find the most suitable images and estimates their expected click through rate (a common marketing metric depicting the amount of user clicks per a fixed number of advertisement displays). Examples of images returned by our algorithm for the title query “15 healthy dishes you must try” along with their predicted Click Through Ratio (CTR). Notice that the images nicely fit the semantics of title. This entry was posted in Deep Learning and tagged Computer Vision, Deep Learning, Image Search on December 18, 2018 by gillevicv. For code, models and examples, please see our project page. This entry was posted in Deep Learning and tagged Computer Vision, Deep Learning, Emotion Recognition, LBP on January 31, 2017 by gillevicv. At the recent DevCon conference I had the pleasure of giving an introductory talk to Deep Learning. A short theoretical overview is given following a technical deep dive on how to train deep networks with a few demos, practical examples and tips. The notebook used in the demo is available here and the various deep networks and definition files used to run the demo are available here. This entry was posted in Deep Learning and tagged Caffe, Computer Vision, Deep Learning on May 5, 2016 by gillevicv. In the last few posts we mostly talked about binary image descriptors and the previous post in this line of works described our very own LATCH descriptor  and presented an evaluation of various binary and floating point image descriptors. In the current post we will shift our attention to the field of Deep Learning and present our work on Age and Gender classification from face image using Deep Convolutional Neural Networks . Gil Levi and Tal Hassner, Age and Gender Classification using Convolutional Neural Networks, IEEE Workshop on Analysis and Modeling of Faces and Gestures (AMFG), at the IEEE Conf. on Computer Vision and Pattern Recognition (CVPR), Boston, June 2015. New! Tensor-Flow implementation of our method . This entry was posted in Deep Learning and tagged Age and Gender Classification, Computer Vision, Deep Learning on November 19, 2015 by gillevicv. 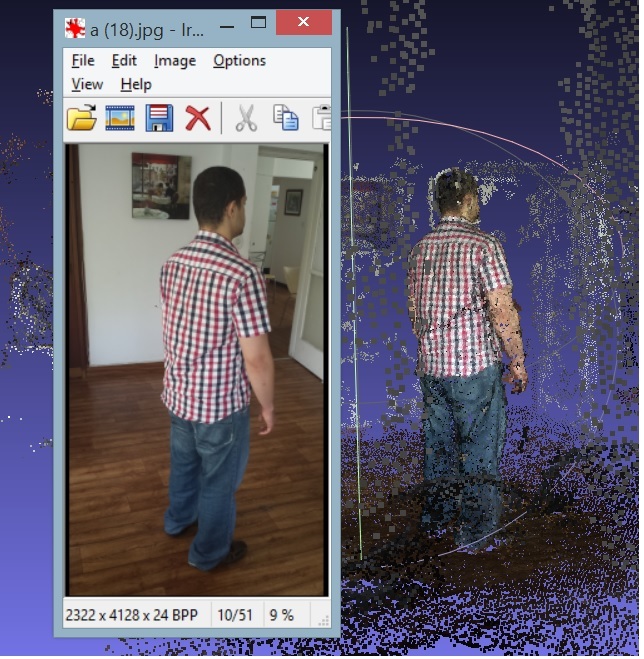 This entry was posted in 3D reconstruction and tagged 3D reconstruction, Computer Vision on May 15, 2014 by gillevicv. This is our fifth post in the series about binary descriptors and here we will talk about the FREAK descriptor. This is the last descriptor that we’ll talk about as the next and final post in the series will give a performance evaluation of the different binary descriptors. Just a remainder – we had an introduction to binary descriptors and posts about BRIEF, ORB and BRISK. This entry was posted in Descriptors and tagged Binary descriptors, Computer Vision, Descriptors, FREAK on December 9, 2013 by gillevicv.